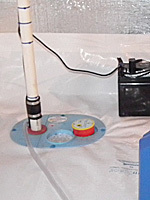 At Advanced Basement Systems, we install only the best sump pump systems available anywhere in the Ontario area. We have an answer to clogging sump pumps, power failures, torrential rainfall, and much more! 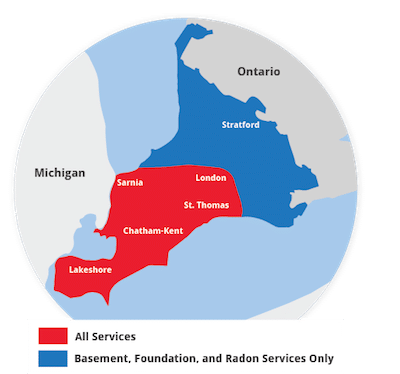 We service London, Windsor, Chatham, Sarnia as well as Windsor, Stratford, St Thomas, Leamington, Essex, Amherstburg, Strathroy, Ingersoll, Kingsville, Aylmer, Goderich, Hanover, Listowel and nearby. We can help you dry your basement! For a free sump pump system quote, call or e-mail us today! At Advanced Basement Systems, we offer three different sump pump systems: the TripleSafe™, SuperSump®, and SmartSump™. A Powerful Cast-Iron Zoeller® ½ hp Secondary Pump -- If the primary sump pump fails or is overwhelmed by extremely heavy waters, the secondary pump will turn on, discharging up to 3,900 additional gallons of water per hour!